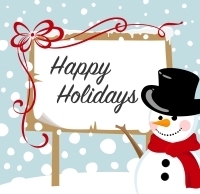 With 2013 coming to a close, ALQ would like to wish its members, partners and other industry professionals a very safe and happy holiday season. Your regular news publication will resume on Wednesday, Jan. 8, 2014. As the holidays and the end of the year approach, it means many things to many people. For me it is a time to reflect on all the wonderful people who I continue to meet and talk with throughout the year. As Nancy and I travel to and participate in many industry conferences, I truly feel blessed that we have come to know so many of you. I am especially delighted with the new developments and business opportunities that many of you have shared with us. As we enter into the New Year, I again would like to say to all of you how much I greatly value our relationship and hope that we will continue to support and work with each other, not only in the coming year, but for many years to come. I wish you and your loved ones a Happy and Healthy Holiday and New Year. From Sept. 18: Buying debt, whether it's medical, credit card or telecom/utilities, can be equated to the American reality television series, "Storage Wars," in which participants bid on abandoned items in a storage locker. The show's narrator explains, "When storage units are abandoned, the treasures within are put up for auction." From Sept. 18: It is often said that getting a judgment is half the battle. Collecting a judgment is the other half. Of the two, collecting the judgment is the more difficult aspect. Enforcing a judgment can require a light or heavy hand. It all depends upon the debtor's cooperation or lack thereof. Policies and procedures ... and how they can increase your bottom line! By Susan A. L. Marston, MBA, CEO, ConnecTGo, Inc. Many small businesses are so wrapped up in the day-to-day running of the business and often miss out on the bigger picture! While that is understandable to some degree, they should still be vigilant as to what is occurring in their own industry and marketplace. Owning and managing a company in addition to the provision of its services, is no easy task. From Feb. 6: Collection efforts have not been successful in collecting your past due balance, and you are considering a collection law suit against your debtor. The purpose of this article is to review some of the practical considerations in evaluating your claim for suit. A fundamental rule of corporate law is that shareholders, officers and directors are not liable for the debts of the corporation. In this respect, individuals find the corporate form useful because it creates a division between shareholders and their business concerns. Simply put, the corporate form insulates individual shareholders from being held liable for corporate wrongdoings or debts. The Ohio Supreme Court summarized this concept by stating that, "the corporate form has been introduced for the convenience of the company in making contracts, in acquiring property for corporate purposes, in suing and being sued, and to preserve the limited liability of the stockholders, by distinguishing between the corporate debts and property of the company, and of the stockholders in their capacity as individuals." From April 17: Effective telephone techniques can make the difference between a failed attempt and a successful collection. An experienced collection professional makes the rules of the game as simple as A-B-C, highlighting techniques of the trade which will provide a useful primer for new collectors, as well as a helpful reminder for those more experienced. by Eamonn N. Sullivan and Donald W. Seeley, Jr.
From May 15: Collection attorneys are in the business of settling disputed debts. Typically, two factors drive these settlements: The settlement figure and the payment schedule. The parties negotiate their settlement, payments are made and the debt is settled. Or is it? In addition to honoring the settlement terms, certain creditors have federally imposed requirements to report settled debt to the IRS. These obligations exist even when the debtor disputes the debt and may result in additional tax consequences for the settling debtor. At the heart of this issue lies IRS Form 1099-C.
From May 29: Rarely do collection cases go to trial. That's a good thing because providing a witness, or being a witness is an inconvenience at best, and a real strain at worst (where the case is heavily disputed). This discussion covers some of the common questions asked by people who may have to testify at a collection trial. From July 10: What actually happens once an account is submitted to an attorney for suit? Here's a brief summary of six steps that describe the process from the decision to sue to its outcome. From Aug. 21: A bill introduced recently in the U.S. House of Representatives would exempt debt collection attorneys from the Fair Debt Collection Practices Act "when taking certain actions." The bill's supporters say that it is a technical fix that does not erode the consumer protections of the FDCPA.